Colorado is a natural place for horses, and having your dream home on a horse property just might be more affordable than you realize. As a Realtor serving Douglas, Elbert and El Paso Counties, I’m asked frequently about horse property in beautiful places such as Parker, Elizabeth, Franktown, Black Forest, Sedalia, and more. There is good reason for the interest. 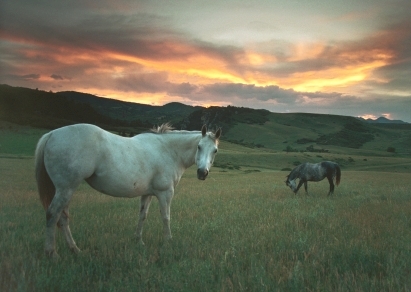 This part of Colorado, located just east of Denver and Colorado Springs, is simply ideal for horse properties. Parker is even home to The Colorado Horse Park along with many riding stables. Also rest assured, these counties have fantastic views of the entire Front Range Mountains, including 14,400 foot Pikes Peak. What is a Colorado horse property, anyhow? The simple answer is a piece of property as small as a few acres with a residential home, a paddock, and possibly a small barn or structure. On the other end of the spectrum of horse properties are large ranches with multi-stall barns, riding/training areas and plenty of acreage for grazing. A few Douglas County, CO neighborhoods even offer five-plus acre lots with a municipal water source and covenants that already allow for some types of livestock including horses. However, those neighborhoods are the exception. (Llamas and alpacas are generally not allowed in these communities.) The more common property for horses would be a fairly rural tract with no covenants. Custom build a Colorado Horse Property in Elbert, Douglas or El Paso County. 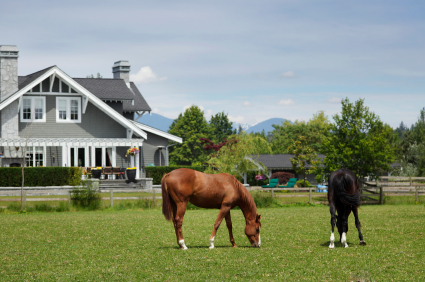 Locate a suitable existing horse property and advise you in avoiding the many pitfalls associated with buying a pre-owned home on agricultural land. Locate and present a range of candidate Douglas or El Paso County properties for building from scratch and assist you all the way from the diligence matters, through closing. Ensure the land contract and inspection protects you in the area of swelling soils, zoning, CO well/water concerns and more. Locate a suitable builder who will build the home you want at a fair price on the right terms for you. Suggest communities or subdivisions amenable for the type of home and livestock you desire. Educate you on the entire process of Colorado home building, enhancing your ability to make a solid decision on a Douglas, Elbert or El Paso County horse property. This is no small thing. Knowledge early in the process is key to having a happy long-term experience. If you have ever considered CO horse real estate, now is a great time to seriously look into it in more detail. Construction is more competitive than ever, but the market is hot and prices are rising. There are a number of approaches I’ll share to ensure that your budget is not blown on surprises. The State of Colorado grants several types/levels of well permits depending on many factors including requested use, testing and an existing knowledge of regional aquifers in conjunction with permits already issued. The bottom line is that a buyer should never assume anything about availability of water or expectations on the issuance of a permit without due diligence research on a piece of land. This even includes a piece of land with a well already present. 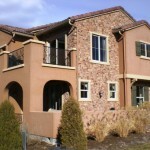 Occasionally, for example, you might unknowingly encounter a property with an older well that was never permitted. Or it might be far too shallow to meet today’s lower water tables. Additionally, Colorado has some unique laws on surface water, minerals, etc. so again, please never assume anything. Every property is different: therefore the generalized information herein is offered strictly as a helpful guide, and in no way constitutes legal or real estate advice on any particular piece of property. If you need help with horse properties in Douglas, El Paso or Elbert Counties in CO, I’d enjoy working with you.